All sorts of interesting science news coming out of Israel these days. Last week there was the world's oldest patch of exposed soil. 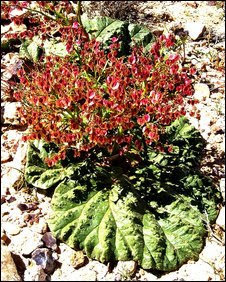 Now comes word that a variety of desert rhubarb can irrigate itself: the only plant in the world known to have such an ability. Mash down here for the fascinating story of Rheum palaestinum: the plant that waters itself.